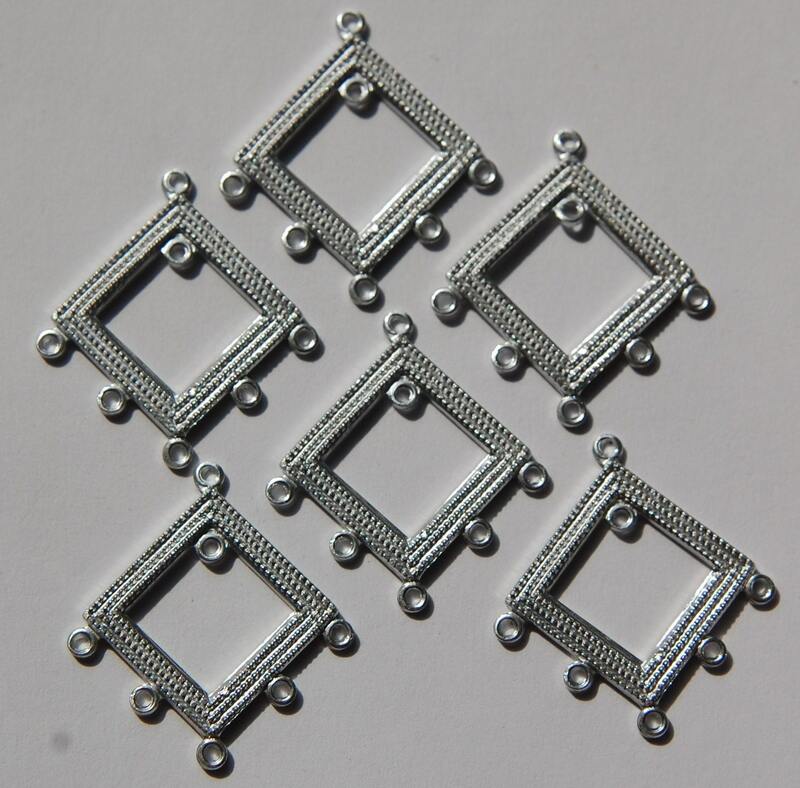 These are vintage, light weight metal, maybe aluminum chandelier earring or pendants. The pic shows the back of one, with a hammered like finish. These are shaped like a diamond with 1 loop at the top and 5 at the bottom. There is also a loop in the inside center. They measure, including the loops, 31mm long X about 29mm wide. You will receive 6 pieces. Great charms, exact to photo. Thank you for my lovely items, they arrived super quick!